The Central Viera Community Association, Inc. (CVCA) is the master association for residential and commercial properties west of I-95. CVCA was formed in 1994 when development of the Viera community starting moving from the east side of the interstate to the west side. 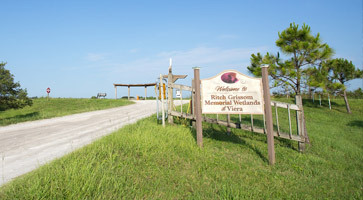 The master association is responsible for the maintenance and operations of CVCA parks and trails, right-of-way (ROW) landscape and irrigation maintenance on major roadways, stormwater management, homesite modification approval through the Architectural Review Committee and enforcement of the community-wide standard (design guidelines). Membership in the Association is mandatory and all residential and commercial units west of I-95 are within the CVCA boundary and are members of the Association. All members are welcome to attend any CVCA meeting. The Voting Members of the CVCA during annual or special members meetings are the Presidents (or other designated representative) from all of the Neighborhood/District Associations within CVCA. In addition to their governing documents (covenants, bylaws, etc. ), homeowners’ associations in Florida are subject to Florida Statute Chapter 720. Chapter 720 sets forth HOA powers and duties, meeting requirements, budget and financial reporting requirements, board composition, voting membership, assessments, obligation of members, etc. Below are common acronyms used throughout this website when discussing the master-planned community of Viera and the HOAs within Viera. CVCA Central Viera Community Association, Inc.
Stay up-to-date with the latest news and happenings via social media! Central Viera Community Association, Inc.
Fairway Management of Brevard, Inc.
please follow the recorded instructions. Copyright 2016 Central Viera Community Association, Inc.